Cambridge Cancer Care comprises two Consultant Oncologists based in Cambridge, UK. Richard Benson and Simon Russell are both oncologists working at Cambridge University Hospitals NHS Foundation Trust. Urological cancers including cancer of the prostate, bladder and kidney. 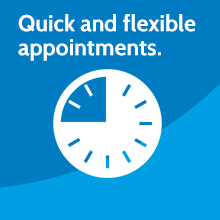 At Cambridge Cancer Care we offer patients compassionate and timely care, with rapid access to a choice of clinic times and locations. In addition we use the most evidence based up to date treatments, and are able to offer our patients access to a number of clinical trials, aimed at improving outcomes for a number of cancer treatments. Richard trained at St Bartholomew’s Hospitals, London and qualified in 1988. Following general medical training at Bart’s Hospital he undertook his formal oncology training at Addenbrooke’s Hospital, Cambridge and was a visiting Senior Fellow at Princess Margaret Hospital in Toronto, Canada from 1998-1999. 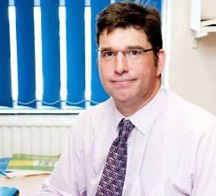 He specialises in the treatment of urological, head and neck, thyroid and skin cancers. Richard was appointed a consultant clinical oncologist at Addenbrooke’s NHS Foundation Trust and Peterborough Hospital NHS Trust in 2000. 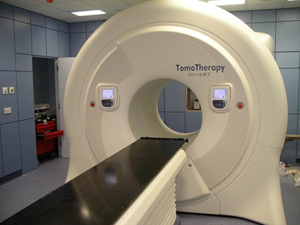 He is actively involved in clinical research with special interest is in technical aspects of Radiotherapy. His research interests are based around improving radiotherapy and chemoradiotherapy in head and neck and urological cancers by developing technical radiotherapy and evaluating treatment related toxicity. 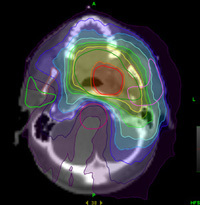 He is involved in teaching and examining oncology trainees for the Royal College of Radiologists. At the Nuffield Health Cambridge Hospital, we are able to deliver comprehensive, first class private cancer services. Our standard of care was recognised when we became one of the first private hospital in the UK to be awarded the Macmillan Quality Environment Mark for ‘Cancer Care Facilities’. Our chemotherapy unit is staffed by an oncology manager and a fully qualified expert nursing team of 5, including clinical nurse specialists in palliative and oncological care. On our ward, we have a clinical nursing team who are experienced in managing cancer patients, including nurses with enhanced cancer care qualifications. We want you and your relatives to feel that you are in the best hands and have the best access to a successful outcome. Located in Peterborough, the Fitzwilliam Hospital is one of the Ramsay Group of hospitals.